My pressssshhiiouuuss! 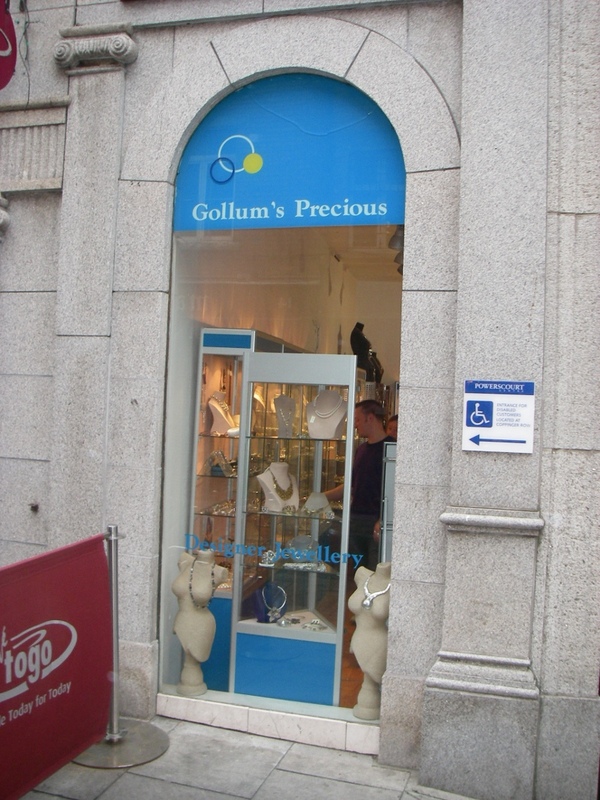 We mustn't tell the hobbitses. Shiny things. We looooves them. Must buy all the shiny things. 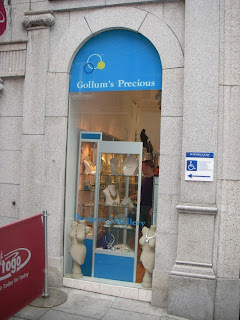 ROFL - What a great name for a jewelry store! Isn't that fun? Now where did I put that ring of invisibility? Damn thing is always disappearing on me. Crap, this is like the time I bought the camouflage Mag-Lite flashlight. I turned it off and then never saw it again. and here are some blurry pics from a pub!